Happy Monday, fellow cyclists! I hope that, wherever you are, you’ve been getting many opportunities to hit the pavement in the past week. In light-filled San Diego, California, I’ve been comfortably basking in balmy temperatures and riding happily under the sun. 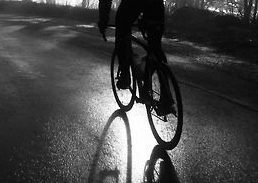 The longer days and brighter weather means, of course, more time on the road on the saddle of my beloved bicycle. 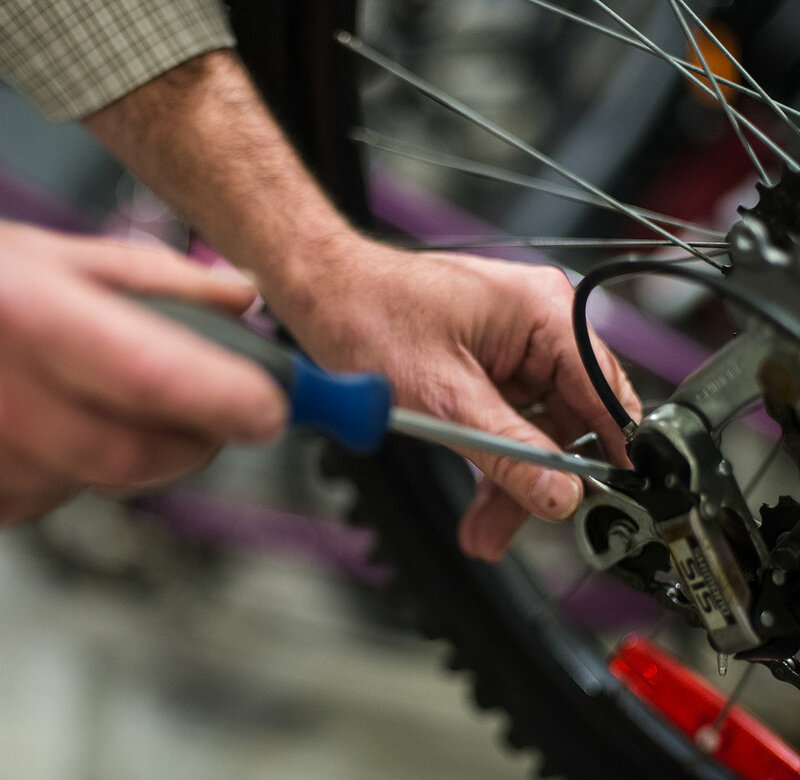 Today, we’re going to jump into some bicycle maintenance and talk about troubleshooting your bike. The inspiration for this post comes from a great picture I found through my Pinterest site under my page titled “Bicycle How-Tos.” Coming from an article from visualistan.com, I was instantly inspired to expand upon the idea of how to troubleshoot your bike. Sometimes in the wonderful world of biking, we crash or something happens to our bike that requires in-depth repairs. Most often, however, little tweaks and tune-ups are all that’s necessary. When you sense that there’s something wrong, you can run through the steps listed below to find exactly where your problem is occurring so you can fix it as soon as possible. 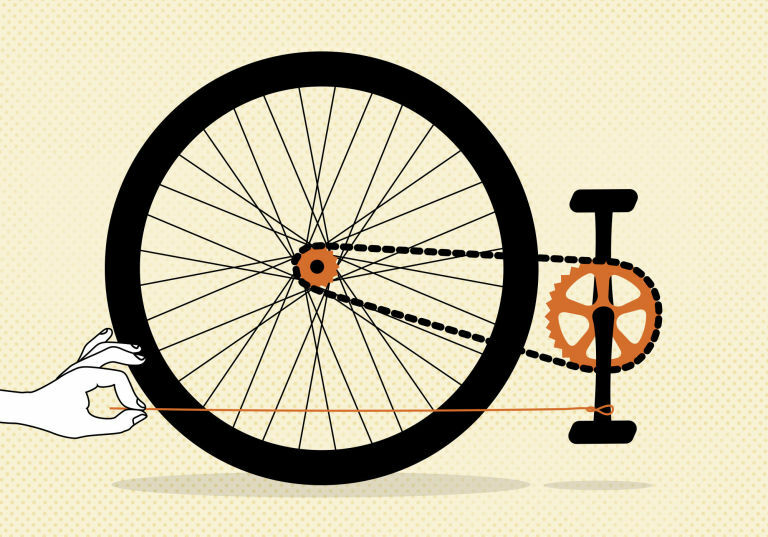 By identifying the issue, you’ll be able to avoid larger problems that may evolve with your bicycle in the future. If you’re having an issue with pedaling your bicycle, chances are that there’s a problem with your chain. If your chain is stuck, you’ll hear a funny noise and see that the chain stays stuck on the chain ring’s underside and will either lock or jam up. Make sure and check your chainrings for wear. There should be a perfect semicircle in between the teeth of your chains for reference. You should also check to see if any of your links are bent. Perhaps your chain is rusty or stiff, which would require the use of chain lube. 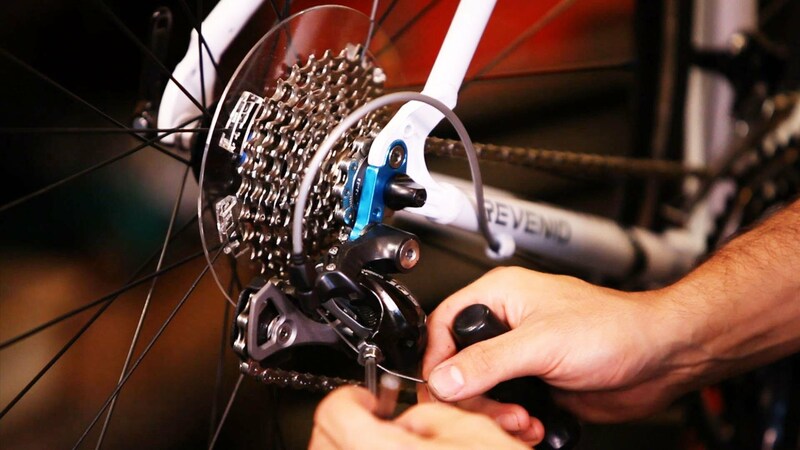 Finally, check to see that your chain isn’t too mucked up with dirt or lube and in need of a cleaning. If you dismount your bicycle after noticing that you feel funny while sitting on your bike, there might be a problem with your seat. The longer you go without adjusting your seat, the more likely it is that your seat will get stuck and present you with problems on the road. It’s a good idea to spray the entire seating mechanism down with good quality oil. After you do that, let your seat sit for twelve or more hours before working it loose again. If you’re really having a difficult time, use large pliers to get better leverage as you turn the seat. For inexperienced riders, hearing a strange noise may cause some alarm. However, it’s most likely just a simple issue that needs tweaking. There’s a chance that one or more of your spokes may be loose. By making sure they’re tight, you can quickly solve this problem. However, if that’s not the issue, try seeing if using some lube on the places where the spokes cross takes away the noise. Oftentimes, spokes can rub together and create a sound. Other areas to check for strange noises include tightening the bolts on your crank arms, making sure the spaces between cogs are clean, and making sure the chains are fitted accurately. If you suspect that you might be having an issue with your brakes, you could be experiencing some break rubbing. In the case that your rim brake is presenting difficulties, make sure that the wheel is correctly mounted in the drop-outs. Loosen, re-tighten, then test again. If your disc brake is the problem, check the position of your pads within the disc brake housing. Also, makes sure that your rotor isn’t bent or worn down. If none of these seem to be the issue, perhaps you’re feeling that there isn’t enough brake on your bike. If your levers are hitting your fingers, adjust the cable tension to move the pads inwards. If your pads are worn out, replace them as soon as possible. If you have oil on your pads or rim, clean it with alcohol. Finally, if you’re hearing a squealing sound coming from a brake, clean it with alcohol and buff it with a steel wool cleaner. Also check your pads and rotor to see if anything needs cleaning or replacing. Finally, you might need to take a look at your wheels. If you’re noticing that your wheel is wobbling, check to see that your wheel is correctly mounted in the dropouts. To do this, loosen the quick-release and re-secure the wheel into the dropout. Next, check and see that the tires are correctly seated within the beads of the rims all the way around. You could also check for a broken spoke or bulges and tire damage. Last, if you hear a creaking noise coming from a wheel, check the crank attachments and pedals. If you can’t find the problem here, consider using teflon tape to bottom bracket threads. Also check the attachments of the steerers to the stems and stems to handlebars and the shock attachments if you have a full-suspension bike. My hope is that you were able to find this article useful for checking out any issue you might be having with your trusty bicycle. Make sure and keep your bike in excellent shape by cleaning and checking for problems every day in order to event corrosion, wear, and larger problems that may lead to accidents.